Special hygienic fittings and assemblies can be made to your specification whether it is a simple adaptor, a precision made component or pipework assembly produced from your own drawings. We even undertake stainless steel constructions, e.g. benches, tanks and frames. Our Manufacturing web page and Gallery shows the production capabilities we have at your disposal. End Connections – Male or female RJT, IDF, DIN, SMS, SRJT, union parts. 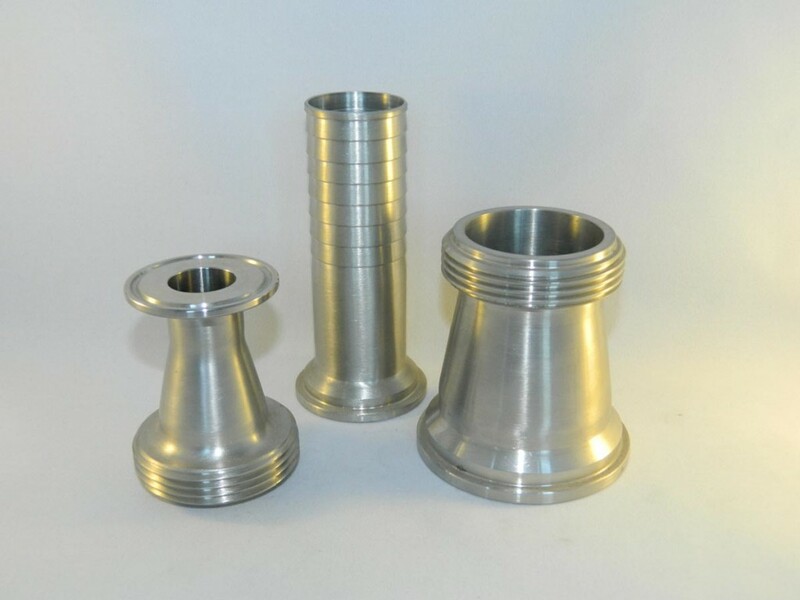 Clamp ferrules, hose tail, flanged, threaded or plain ended.